Ritzz, 23 May 2011Hi I am looking forward to buy this phone (Nokia x5-01), if any one can advise me on this?See reply post to migs! migs, 23 May 2011how much is this phone right now please i need an answer thankyou I bought mine from e-bay, seller was cyber-gat, for Eur 166,- (GBP 135,-) including shipping from UK to the Netherlands. They sell these in black, blue and pink! utchman, 24 Apr 2011can sum1 tel me d conponents of E5 as wel as d price in naija currencyI got my E5 N30,000 in VI, Lagos State last month. Still enjoyng it wella. 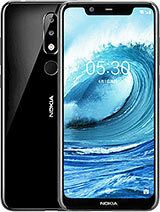 I am looking forward to buy this phone (Nokia x5-01), if any one can advise me on this? Connectivity to my netbook (run windows 7 Starter) so easy and I can use it as modem only with a few touch, use it as bluetooth wireless presenter, as music jukebox, youtube player, and I can install many 3rd party app from inet instantly ... must have it .. Awesome stuff,really good.Just got few days ago.Impressed. It's probably one of the best, if not THE best Nokia's i ever had! The best feature is the design, while other smartphones are big and not easy to carry, this model has a unique shape which, when slided open, feels very solid and it's very easy to use! Unfortunately this model isn't available in the Netherlands, therefore i had to buy mine true e-bay. hi there.. got info from nokia site that this phone has the torch option. can anyone help from where the torch can be lightened?